Canada has been known as one of the best countries to live in, for the opportunities, for the freedoms, for our diverse culture, but will this still be true in the future? 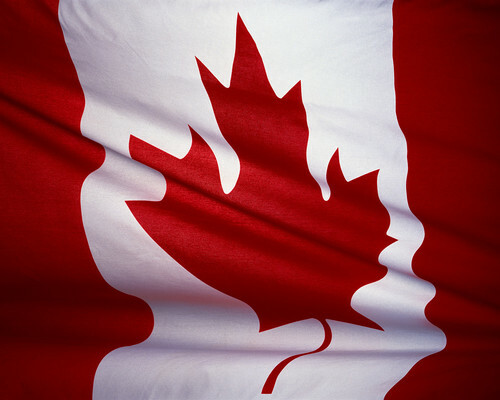 According to the 2009 Quality of Life Index that includes 194 countries Canada ranks 19th. The ranking is based on weighted factors that includes cost of living, leisure and culture, the economy, the environment, freedom, health, infrastructure, risk & safety and climate. A full list of all the countries can be found here, including how they categories are weighted and calculated. As for where we will be in 2010? It’s unknown right now but it will likely be falling even further behind. It’s no secret that Canada is starting to lag, we are becoming known as the country of polite polluters. The Kyoto Protocol asked for all nations involved to cut their greenhouse gas emissions by a certain percentage below 1990 levels by 2012. Canada agreed to cut emissions by 6% below 1990 levels, formally ratified the Kyoto Accord at the end of 2002 and in 2006 the Canadian government announced it was abandoning the Kyoto targets. Even wore Canada is currently 26% above 1990 emission levels. Canada might become known as a corrupt petrostate. According to Environmental|Defence Canada has The Most Destructive Project on Earth, the Alberta Tar Sands. The open-pit mines needed to extract the tar sands will be the size of the UK; our pristine landscape will be destroyed and that not directly destroyed by the open-pit mines will be indirectly ruined by all the leaching chemicals. Could Canada to be expelled from the Commonwealth? Copenhagen, a place where the commonwealth leaders have congregated to find common ground for the future of the global environment. As Kyoto is about to expire the goal is to have a legally binding agreement in place. But Canada will only participate if meets our economic objectives. Yesterday I wrote about the triple bottom line accounting principle, people, planet, profit. Harger is regressing, he’s moving away from people and planet and purely exploiting profit. As Europe invests in green infrastructure Canada is investing in ‘dirty’ infrastructure. Globally, Harper and our Federal government our tarnishing our Canadian image. Worse still the leaders of the Commonwealth are growing frustrated. As they implement policies and laws to meet ambitious emissions goals, Canada is seriously lagging behind. Other leaders of the Commonwealth are commenting on the divide between Harper and the other leaders. Harper is waiting, waiting until his big brother to south takes a stand and tables proposals. According to Harper we are too connected to the US to table any proposals. Our environmental and economic future lie in the hands of Steven Harper. If he chooses to ignore the ambitious goals being tabled in Copenhagen and solely looks out for the oil interests in Canada, than Canada will lose much of it’s good-faith with global leaders. Worse if Harper permits the complete extraction of the Tar Sands, Canada will be labeled as one of the world’s worst polluters; we’ll be chastised by the rest of the world.